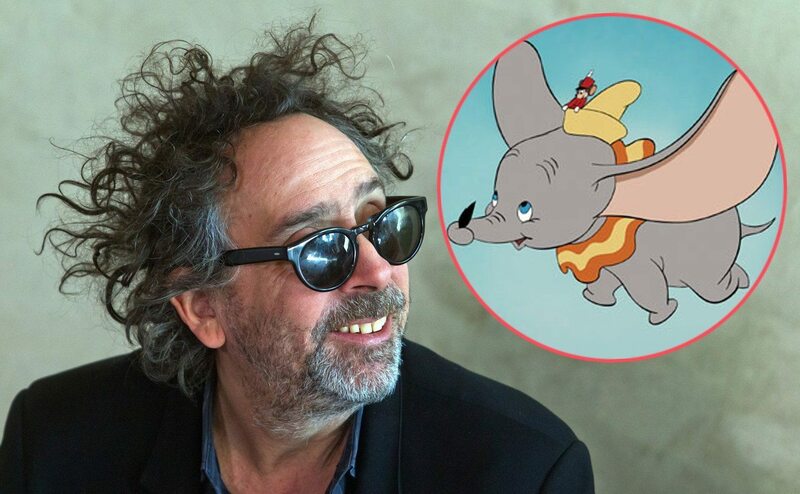 Tim Burton’s highly anticipated interpretation of the Disney classic, ‘Dumbo,’ is not far away, with a slated release of March 2019 now on the cards. Today the ‘Dumbo’ trailer was released, and even though a live action animated crossover film about Disney’s most famous elephant with flying capabilities sounds a bit unbelievable, and possibly something that you’d never care to watch, we just have to say that judging from the trailer, Tim Burton has surely outdone himself once again. Although, the premise of a ‘Dumbo’ live action film sounds sort of “dumb“, the imagination of Tim Burton truly makes it come alive and transports you into the “slight tear jerker” story of an elephant with ears so big that he can fly, in turn, becoming the star of the whole circus. The film stars Colin Farrell as Holt Farrier, a former circus star that goes off to war, only to come back a completely changed man. He’s hired by circus owner Max Medici (played by Danny Devito), in order for him to take care of a newly born baby elephant, Dumbo, whose big ears make him the laughing stock of the struggling circus. However, when Holt’s children discover that Dumbo can fly, it’s not long before entrepreneur Vandevere (Michael Keaton) appears and sees an opportunity to make a ton of cash from the amazing novelty, with proposing Dumbo’s inclusion in a new entertainment venture called “Dreamland”. Let’s check out the trailer! The live action fairy tale looks set to become an early spring blockbuster for next year, if this enticing sneak peek is anything to go by. Written by Ehren Kruger, the screenplay encompasses some darker themes than what you’d come to expect from a standard interpretation of ‘Dumbo’, and with more of a film noire aesthetic in the spirit of Tim Burton’s work, blending fantasy, drama and adventure, making this a film for the whole family. Surely, it’s a film that parents will be surprised to see being a million miles different from the animated cartoon feature, which they probably won’t even remember. Since it’s a long time since 1941, the year of the animated cartoon movie, but the remakes don’t stop there, with the new theme song ‘Baby Mine’ remade by ‘The Hound & The Fox feat. Nathan Alef’, which will have you reaching for a box of tissues in no time. So, when your kid wants to see ‘Dumbo’ next spring, you’ll undoubtedly have to join them, and be pleasantly surprised by its crossover appeal for the adult demographic. Is there anything that Tim Burton can’t do? Quite clearly, he can bring his own style into any genre, and that’s surely what makes a great director, apart from rallying the troops, keeping shooting on schedule and also amazing audiences with your visual interpretations of a story, all the while, making sure that the cast and crew (most of all your producers) are all happy. Phew! The film is in the can, and ‘Dumbo’ comes to cinemas in March 2019, in the next picture of many Disney live action films remade from their old classic animated features. That’s sure to be a money maker, and it’s not wrong to say that Disney are quickly becoming an entertainment monopoly in the feature film market, with the Star Wars franchise and other live action movies coming out very soon.